This year we have been keeping you updated with the development of youth committees, funded by the donations received from you, our ever generous supporters. It is so important that the young people themselves have their say in the decisions that are made about the services they are accessing. Only the young people themselves can put forward ideas of issues in the communities that support could be developed for, or how best to work with young people to combat barriers to education. 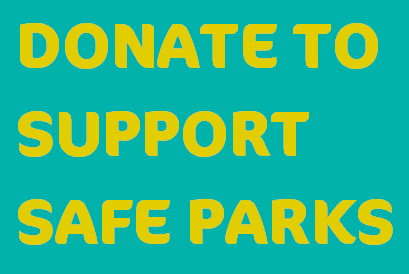 Our programme team has visited the Safe Parks that have now had committees in place for six months and we can report that the programmes are developing well and that the services are becoming even further centred around the needs of the young people. What's more, is that the Safe Parks are sharing practice with each other and working together to learn and improve the services. This is showing us all that we are better together and in unity we are #ChangingTheStory. We hear from Khanyisile from Bonisiwe about her experiences of being part of the youth committee, as well as what she learnt through participation in a project facilitated by the University of Leeds at the Johannesburg Holocaust and Genocide Centre. Khanyisile, one of the Youth Leaders from the Bonisiwe Field Project tells us about her Safe Park and shares with us her thoughts on the week-long workshop at the Johannesburg Holocaust and Genocide Centre. Your donations are what keeps children like Khanyisile in our youth programmes. Please help us to ensure we reach the children in need of our support. 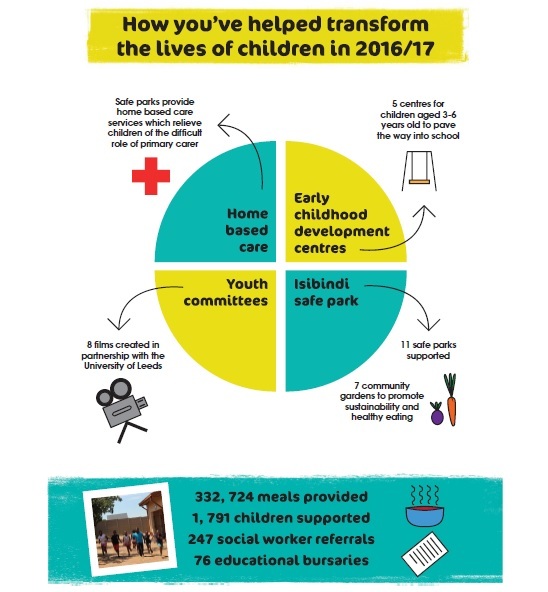 It is not only Safe Parks and Youth Committees projects that have been supported by your donations; young carers and their families have been supported through our home based care work as well as the very young at ECDs (Early Childhood Development Centres). ECDs provide young children with a safe space to make friends, begin their learning journey and get ready for school. This November we need your help to undertake even more of the projects we did last year. 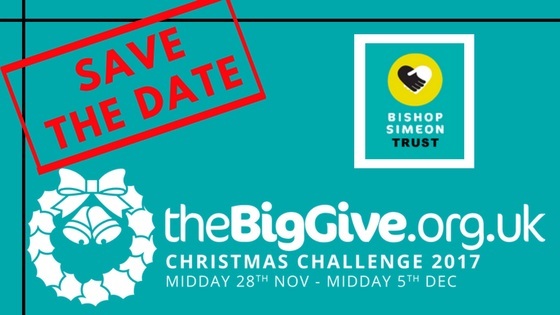 We are participating in the Big Give Christmas Challenge which gives donors the opportunity to have their donation matched by a pledge, which in our case is being generously donated by Sir Michael Parkinson, as well as by a "Champion" The Reed Foundation. Online donations received over the campaign week will be doubled so can go even further! We will be telling you how to do this during the week itself in our next email newsletter.